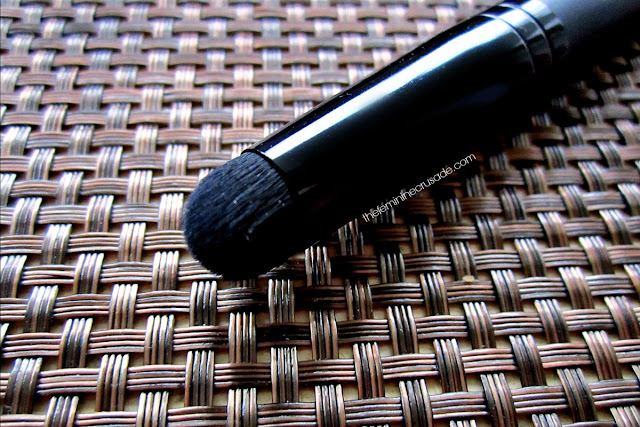 This is the perfect blending brush for combining different eye shadow shades. The special, rounded shape of the brush makes the process of blending fast, while the synthetic bristles make the application more comfortable. 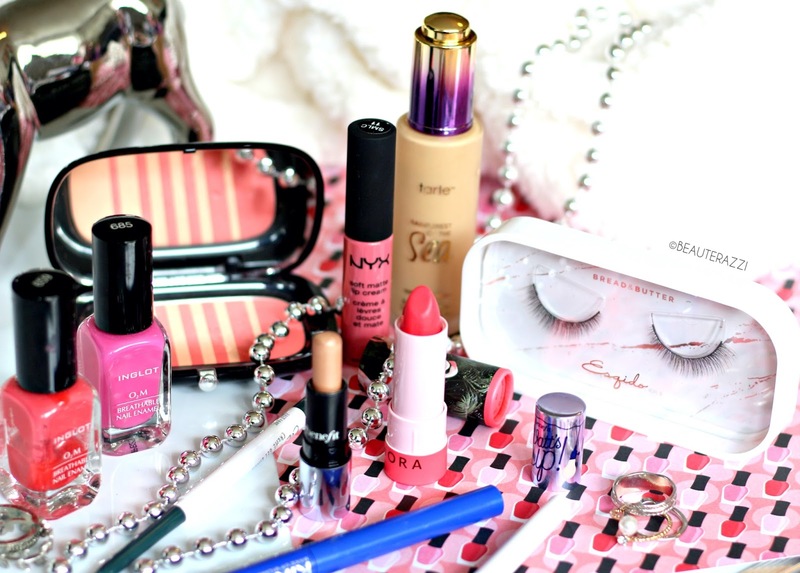 You can also use the Blender Brush to blur the lines of your eyeliner or contour pencil for a softer, more natural effect. The long wooden handle makes for easy control. This Blender Brush 016 is made of synthetic hair and has a long, wooden handle which makes it very comfortable to hold. 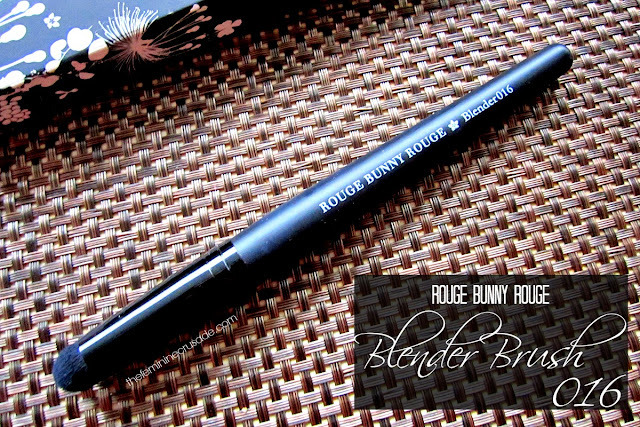 Rouge Bunny Rouge Blender 016 Brush is very different from your usual blending brush. Unlike the many others, it is short, stout and dense. For me blending brushes have always been fluffy and slightly sparse to take away the harshness of the eyeshadow with a soft touch. Therefore, I was really skeptical about RBR Blender 016 before trying. Although, I fell in love with its sleek, luxurious black look right there and then. But they say it right, don't judge the book by its cover. Contrary to my expectations the brush works pretty fine. Despite being short and dense its dome shape really helps to blend out the eyeshadows. And I feel it takes away the harsh lines of some very vivid shades in just a few seconds which my Sigma E25 takes minutes doing. But make sure you use it with a very soft hand, applying just minimum pressure as it has a tendency to rub off eyeshadows otherwise. 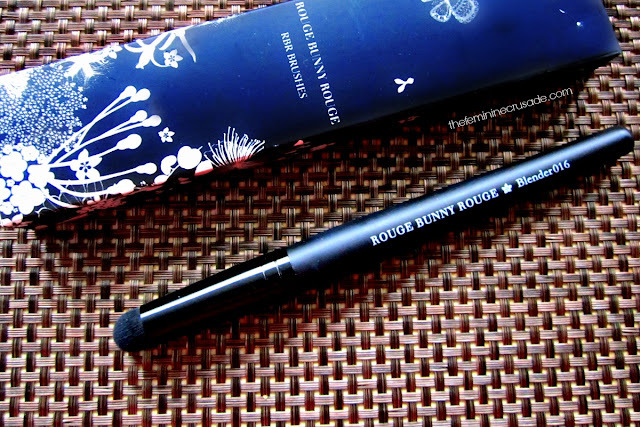 And the best things is, I have yet to encounter a brush as soft as this. It's BEAUTIFUL, feels like feather on my eyes. I can feel all my Sigma brushes but this one is oh-so-light-and-soft and still doesn't lose its picking or blending power. I also think the brush is multi-purpose. I can apply eyeshadows in my crease spot-on and then continue blending with this. It stiffness also really helps to smudge eyeliner out for a lovely smokey effect. And I can also contour my nose with this. I totally think this blending brush is personal preference. It's different, multi-purpose and my softest brush ever. I won't pick it over my Sigma E25 but neither will I give it up. This giveaway is open only to residents of Europe, UK and USA. 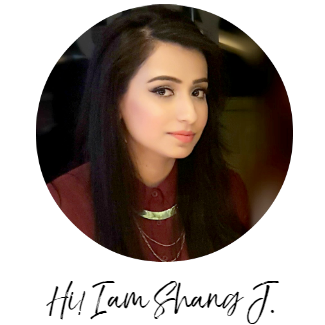 All my Pakistani readers can still enter my Drugstore Giveaway which is currently running on my facebook page here.